1. 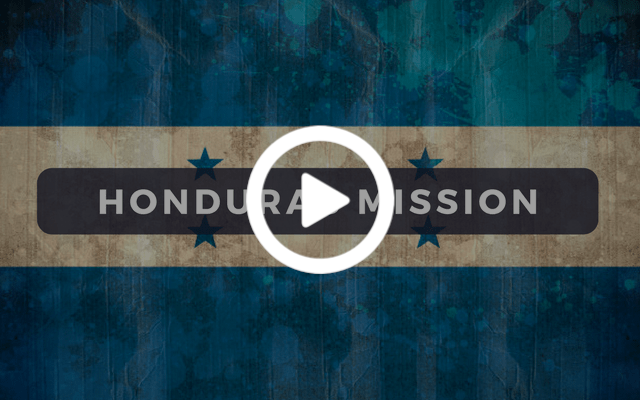 Vision: The vision is to use a variety of ministries to reach communities in Honduras with the gospel and develop leaders with the end result of planting multiplying churches. 2. Partnership: We are partnered with Communion Baptist Church in Tegucigalpa, led by Pastor Julio Pacheco, who is also the Missions Pastor for this partnership and the church planting network. He is assisted by Luis Villanueva, Luis Sanchez, and Pastor Norman Alexis Oliva. They are the mother church in our church planting efforts, although two of our church plants are now constituted churches, and we are building relationships with others so we are probably moving towards multiple mother churches. This will accelerate the pace of church planting. We are partnered with several other churches and individuals in this endeavor and would really like to add other churches/individuals in the United States to this partnership. We have a Honduras bank account and wire money to them monthly through it. Judge Duane Sloane is the True Life Honduras Ministry Coordinator and is assisted by Cecil and Jessica Page, Jim Srock, and our administrative assistants. Pastor Jimmy Inman oversees the entire partnership. There are other churches, teams, and individuals that are supporting the ministry in general in different ways including finances and mission trips. There are other elements to the entire partnership but this is what True Life is involved with. B. Develop pastors and church leaders through the seminary (Institute For Pastoral And Theological Training) and other training who can plant and lead churches. The seminary will begin classes with a second group of men in February 2018. C. Develop micro businesses to help the people financially and to use as a ministry tool. D. Make sure Julio has the support and resources he needs to fulfill his role. E. Continue to develop the 8 Boys and Girls Clubs that have been started and start more clubs in other places. The plan is to connect church planting and starting clubs together. When we build buildings in the future, they would have the dual purpose of housing churches and clubs. F. Continue the development of the church plants/churches True Life has been working with. G. Particularly, we feel called to focus on reaching men in order to impact families..